Can Lysol kill bed bugs? Some homeowners try to use products like Lysol or Bleach they'd normally use in their kitchens or bathrooms to also kill bed bugs. 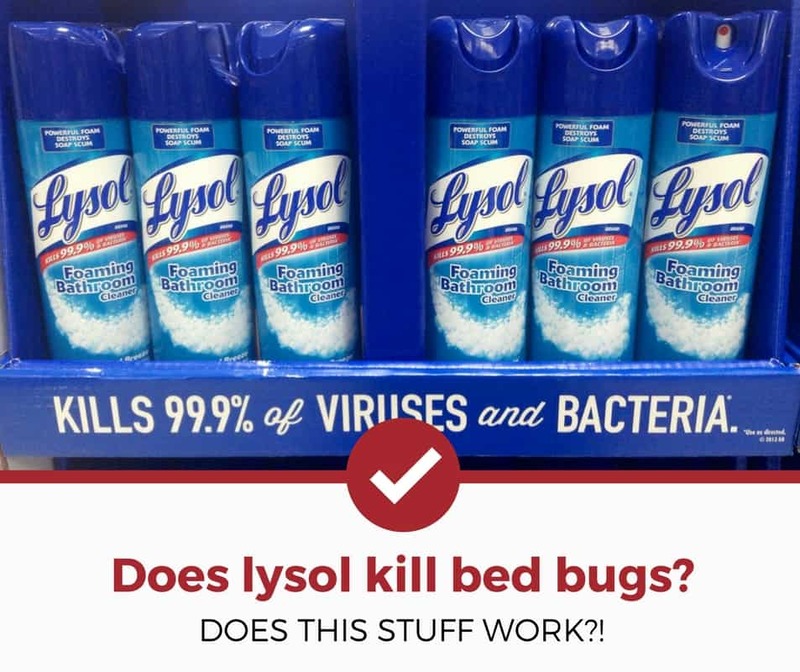 But does Lysol make an effective bed bug pesticide? What Does Kill Bed Bugs? Before we get into Lysol as a bed bug killer, let's first take a look at what people normally use. The main eliminators of bed bugs are pesticides and heat (think steamers). Heat is one of the most effective treatments against these pests because they cannot develop a resistance to it. Excessive heat, such as raising a building's temperature to 130 or 140 degrees Fahrenheit, is an unlivable condition for most bed bugs. Pesticides are chemicals specifically designed to kill pests. Scientists formulated several different products to kill bed bugs that continue to be used today. The primary ingredients in pesticides which kill bed bugs are pyrethrins, pyrethroids, and desiccants. Pyrethrins are insecticides derived from chrysanthemums - the classic holiday flower. Pyrethroids are their synthetic counterpart. Both act in a similar way by serving as contact poisons. When a bed bug encounters one, their nervous system starts to misfire and fail, causing death. Desiccants (bed bug powders) are used on several different types of insects. They destroy the waxy exoskeleton that protects a bed bug. Without this outer layer, the bed bug gradually dehydrates and dies. For more information and our strategies to kill bed bugs, we recommend checking out our in-depth removal guide. Now that we've covered what most experts use, lets breakdown if Lysol can actually kill bed bugs. Many of these ingredients are disinfectants and sanitizing agents. While they are effective against bacteria and germs, they are not good at attracting and killing insects like bed bugs. They are toxic when ingested, but bed bugs would never be enticed enough to try and eat it therefore it would be ineffective. In the basic sense, it's a matter of designated function. Because Lysol is meant to sanitize and clean, it doesn't work well as a killing agent. Similarly, pyrethroids do not work as cleaners because their primary purpose is to eliminate. Lysol will only be effective against bed bugs if you smother them in the cleaning product. This would mean spraying the pests directly, which is difficult because they avoid humans as much as possible. Instead of using Lysol, we recommend contacting an exterminator to begin a more robust pest removal program.